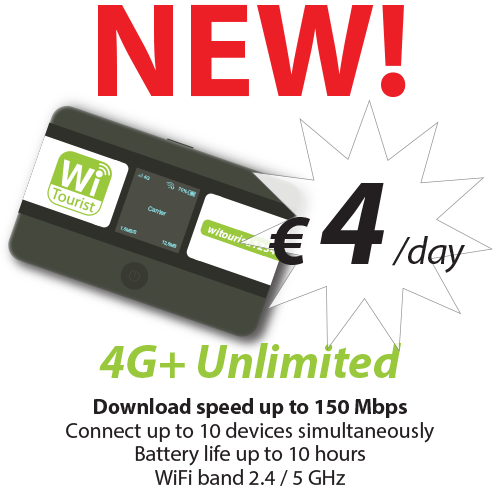 We are pleased to present our new "4G+ Unlimited" device, with an exceptional download speed up to 150 Mbps! Enjoy the best available pocket wifi on the market, with truly unlimited traffic, the ability to connect up to 10 devices at the same time, and a battery life up to 10 hours! And... all that for only 4 €/day!